As marketers prepare their acquisition strategies for 2019, it’s clear to see that 2018 has been quite the seminal year. A year of a drawn-out Brexit negotiation whilst wrestling with pan-European GDPR regulation. This, combined with wider industry concerns of trust, fake news, Facebook Data Scandal and a forthcoming AdTech Tax for digital businesses from Silicon Valley, has generated a decline in confidence that has proliferated the industry. Marketers are harder pushed to extract real value from the compliant, and often limited, data sets they have access to. 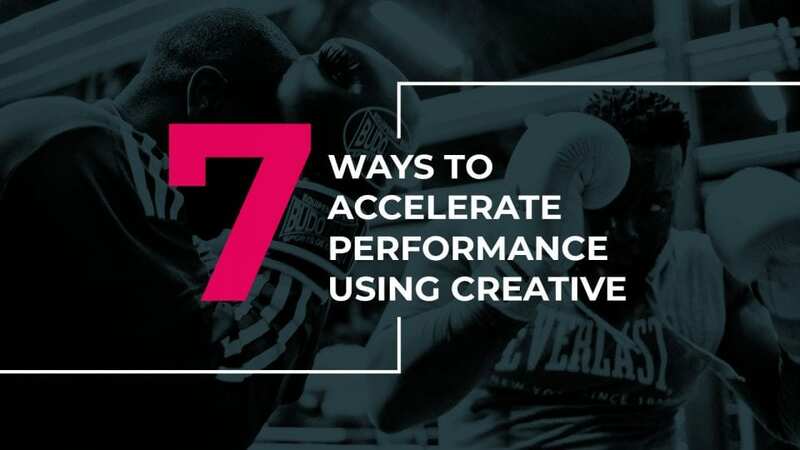 To make the most of this situation, brands must look towards precise and targeted performance marketing, seeking to implement great creative to upscale their digital performance to the next level. With data and creative working together towards clearly defined goals, results happen. And they can happen quickly. Herein lies the opportunity to affect change for ambitious brands in the coming year. But how do you make this happen? When building creative it’s essential to convey the real value of the brand and its position. What’s the story? What is the reason to believe? For example, as a fund manager, are you going to convey the complexity of fund management calculations to a retired individual, or are you going to make it relatable on a human level? 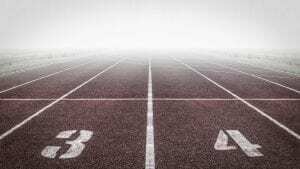 Acceleration comes from aligning perfectly the messaging and brand with the unique values of the business. By context, I mean environment. A Facebook wall. A news site. A search engine. At its absolute best, creative stands out among the crowd of online ads, while being sympathetic to its surroundings. The Mona Lisa belongs at The Louvre, not at a pop-up art fair. Whether it’s attracting the attention of passive visitors scrolling through a social feed, or capturing intent through inbound enquiries on Google, by understanding the audience psyche for that environment, you can boost the impact of the creative with specific selling focuses to drive better performance in the areas with most potential. Where possible, you can also use relevant content partnerships to achieve much greater resonance with your target audiences. Video consumption continues to undergo staggering growth. There are now well over one billion active YouTube users and more than 45% of Facebook users now consume in excess of an hour of video per week on the platform. You need to think about how your thirty second or three-minute slot will stake a claim within this assumed one hour (average) of weekly video watching. Audience targeting, companion banners and call-to-actions certainly help. Yet great storytelling, with great narratives and high amounts of empathy, plus high production standards will only add credence to your communications and make the critical difference to your performance. The opportunity to deliver real-time relevancy through Dynamic Creative Optimisation (DCO) is no longer nascent. Using methods such as the retargeting model — for example showing me the new interest rate of the ISA on a display ad I researched a few days back — or based on the Facebook Ad Builder — which uses difference sales driver components based on Audience Type (Cashback/Fee Free first 6 months) — you can serve the right audience with the right message at right time, even in the right weather. Consider your campaign objective and pull on these levers for maximum impact. Audience Optimised Creative is a more straightforward approach to dynamic creative. Essentially, it is pre-defined assets served based on audience. For example, if you’re targeting three audiences on Facebook — retired, young female workers and families — you should prepare copy for each specific group. This will make your conversions increase and drive extra-efficiency of media investment. Creative does not have to be born out of big and bold ideas. If you’re working with a sponsored ad on Google or an in-feed Social format, you will have limitations. However, ensuring you maximise this window is key. To do this, you need simple, clean photography, that makes it clear what the product or service actually is. Plus, you need to give them a reason to believe and a clear call to action to drive meaningful results. To create a performance ad, rather than an ‘awareness’ ad, you need to make it difficult for your audience to say no. This means clear messaging that directs to the next step. Ensure your Call to Action Buttons are not Find Out More, rather they should be more direct e.g.Download or Sign-Up. They must offer a clear instruction. This is especially important on Google. If you’re not utilising ad extensions to instruct what follows the click, then you’re missing a huge opportunity to create cogent customer journeys that accelerate conversions. We’re now entering the final throws of this bizarre year and heading into the unknown of 2019, which will bring more social and economic changes that are out of our control than ever before. However, by combining key creative levers — brand value, context, video, dynamic creatives, hacking existing formats and optimised CTAs — we’re confident that you can deliver change and meaningful communications that ultimately outperform, with media spend working harder than ever before powered by outstanding creative. If you’d like to talk to us about your digital marketing requirements, please get in touch or fill in our briefing from here. Simon has spent the past decade working with leading and innovative brands to advise on strategy and implementation of scalable performance acquisition campaigns. He is currently head of Strategy at Big Rock — a performance marketing agency for ambitious brands, helping businesses find ways to compete, outperform and win online. Previously, he ran his own performance agency, and led performance for clients such as Samsung, Lloyds Banking Group & Vodafone.